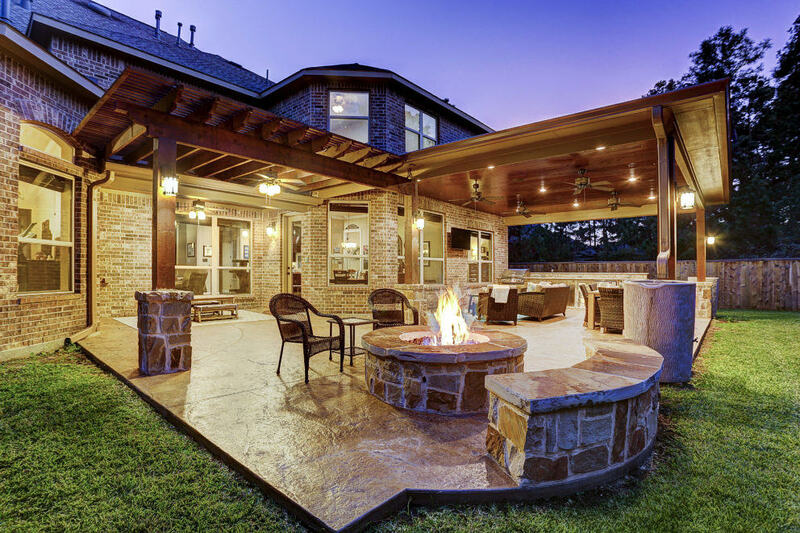 Texas Custom Patios will design and build a fully-customized deck for your home. Your project developer will help you design the perfect outdoor space for living and entertaining. We offer a wide variety of styles and design elements, including multi-level decks, built-in seats, steps, and railings. We also build pergolas, or shade arbors, which add shade and protection to a patio or deck at a lower cost than a full roof cover. We serve the Houston and Dallas – Fort Worth areas. 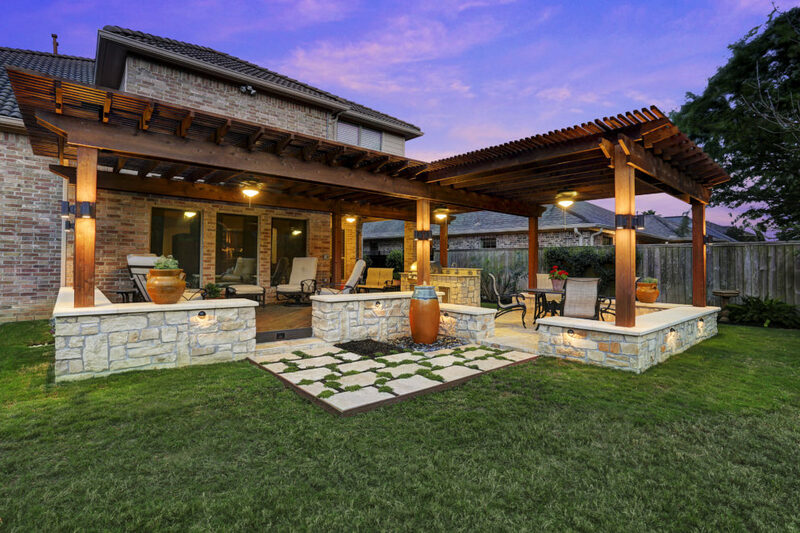 If you have questions about decks and pergolas, please call (281) 265-1994 in Houston or (972) 915-2727 in Dallas. 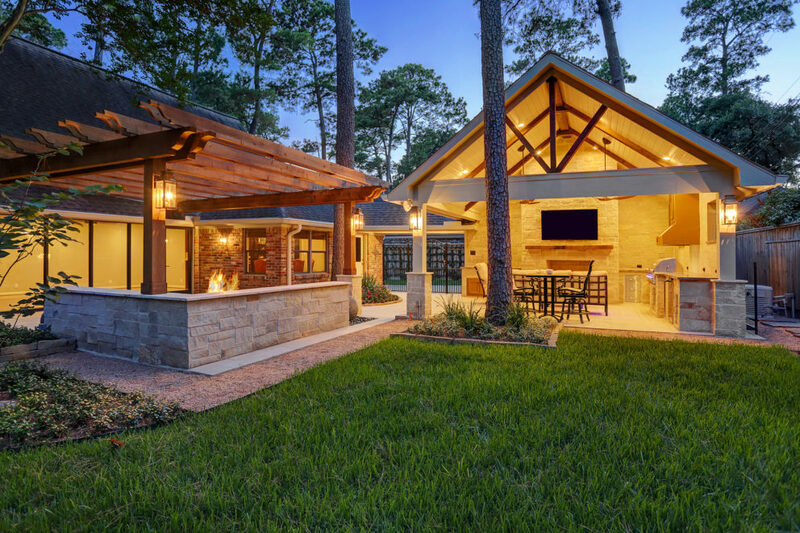 The homeowner wanted a backyard retreat – a place to come home and relax and to entertain family and friends. A beautiful retreat in Royal Oaks – Houston. Low-maintenance composite decking was used to extend the outdoor living space at this Lake Olympia home. This home had an existing small covered patio.